In September we took our Hostile Environment Surgical Training (HEST) course to sub-Saharan Africa for the first time. 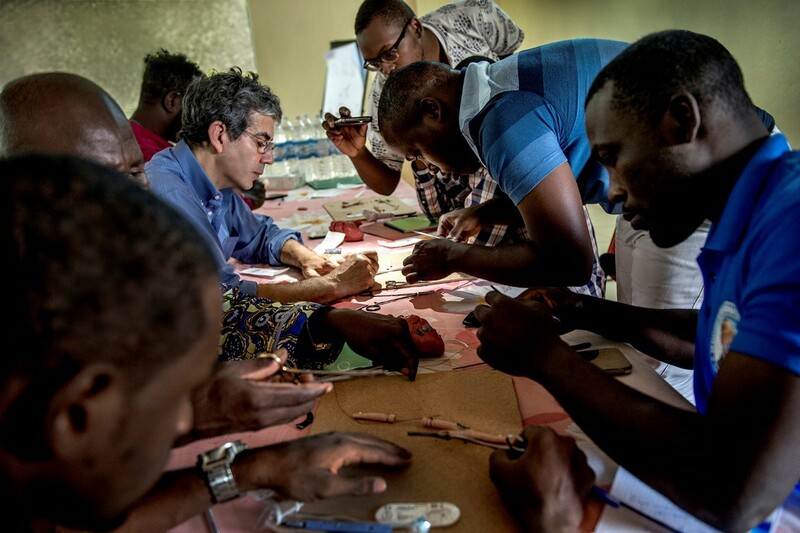 The David Nott Foundation will travel to wherever in the world our teaching is needed and the doctors in Cameroon are contending with very challenging circumstances as they seek to care for their patients. Violence from the Nigerian Army’s conflict with Boko Haram has spilled over into the north of Cameroon and the doctors there are having to cope with the aftermath of major trauma incidents such as suicide bombings with minimal equipment. Their training has not always equipped them to manage the cases they face in the most effective way, which is where the DNF steps in. We are motivated by the fact that well-trained doctors save more lives. If doctors have the knowledge and confidence to handle the complex cases in front of them, they will be more likely to save life and limb. 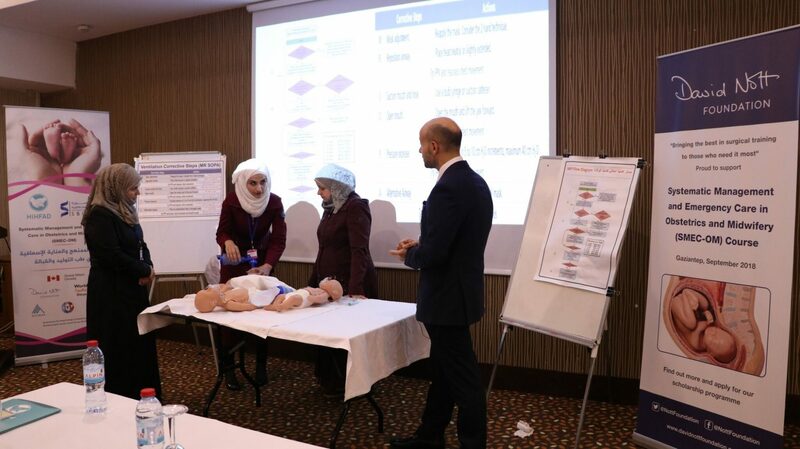 Our training team returned to Gaziantep, for the third time since the Foundation was established, in July to train a group of Syrian surgeons. For David, it was a chance to see friends of many years with whom he lived and operated in Aleppo and Idlib. Among those attending was the doctor with whom David had conducted an operation over Skype in 2016. When the siege of Aleppo was at its height, David helped the doctors in M10 Hospital reconstruct a man’s jaw, the majority of which had been blown off in an explosion. 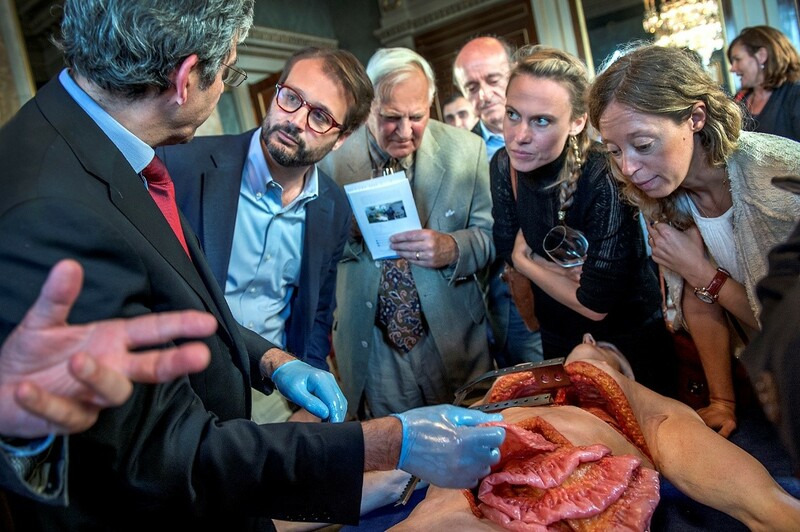 The training was enhanced by the use of prosthetic organs upon which the Faculty demonstrated various surgical techniques. 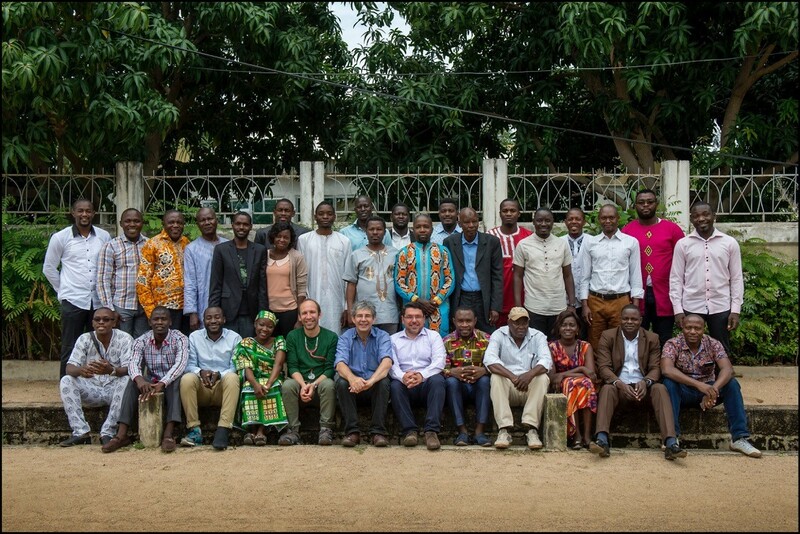 The Foundation’s first mission in sub-Saharan Africa; a Faculty of three set off for Cameroon on 9 September. There has been a considerable overspill of violence from military operations against Boko Haram in neighbouring Nigeria into the far north of Cameroon. Our team arrived into Yaounde and then took a further internal flight to Maroua, travelling by car to the MSF field hospital where the training took place. 29 local doctors attended and the lectures were selected in order to match the experience of the trainees. Many attending were not surgeons but general doctors with surgical skills, so the faculty spent more time covering common procedures in detail and mentioned for general knowledge other procedures that will require a more advanced level of training. Some sessions were combined with practical dry lab stations, using prosthetic organs commissioned by the Foundation and funded by your generous donations. The doctors practised cardio vascular repair on hearts, arteries and veins; bowel repair, anastomosis and stoma principles and post-partum haemorrhage management using an intrauterine balloon. 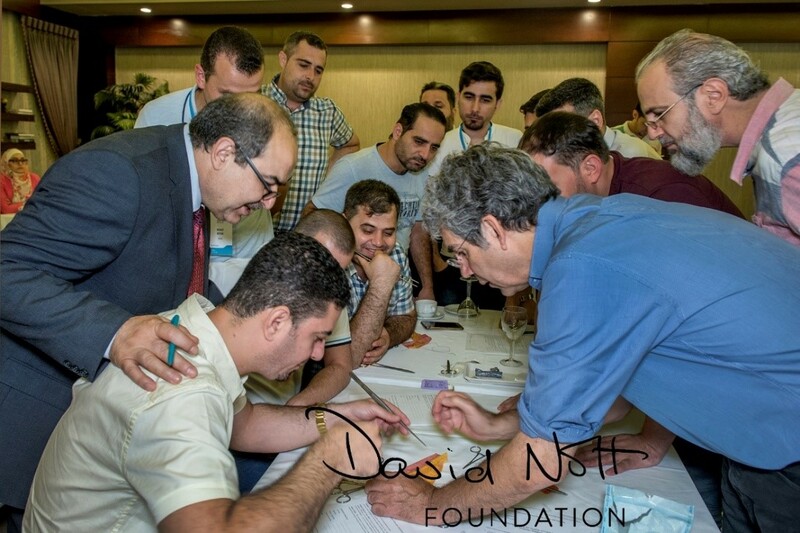 Organised and funded by the David Nott Foundation, Hand in Hand for Aid and Development and World Vision International; the course aimed to address the high rates of maternal and neonatal morbidity in Idlib. There have been several wonderful fundraising events organised by our supporters over the past few months. They include a group of friends doing a sponsored walk along Hadrian’s Wall, an open day at a beautiful fruit nursery in Kent, coffee mornings and garden parties. We are so incredibly grateful for all these efforts as they enable us to keep doing the work we do. In June, we held a cello recital and reception at Fishmongers’ Hall in London. 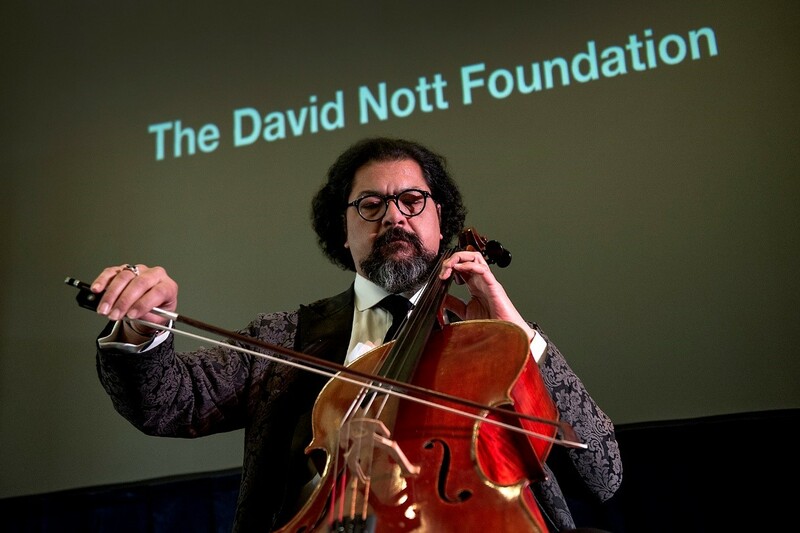 We were generously sponsored by the April Trust and heard from the ‘cellist of Baghdad,’ Karim Wasfi. David Nott presented Karim with the Arabian Business ‘Humanitarian of the Year’ Award in 2015 for his work promoting peace through music and the arts in his native Iraq. 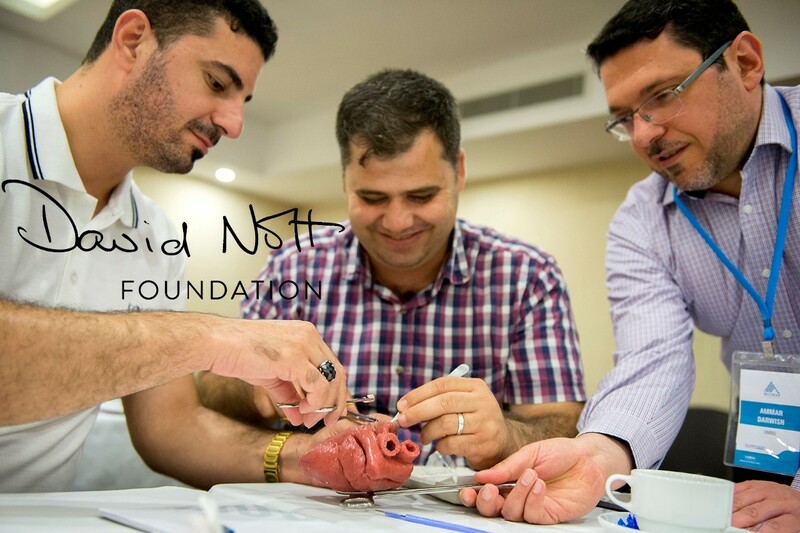 If we are to continue to train surgeons and take these desperately-needed courses abroad, we need your help.